Unfortunately, iFrames still exist. 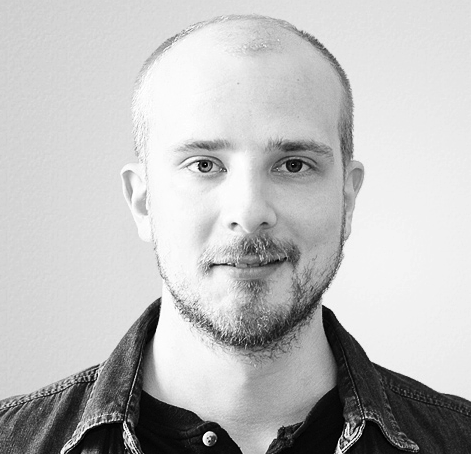 They are used to embed content from one page into another. Frames are horrible, nasty things, very often riddled with cross-domain problems, performance issues, responsive design obstructions and other crap from the nether pits of hell. Regardless, if you’re stuck with an iFrame which also collects data to your Google Analytics property, for example, you probably want to prevent at least the first Page View from firing, since otherwise you’ll be double-counting Page Views: once on the main page and once in the iFrame. In this tip, I’ll show you how to prevent a Tag from firing if it’s executed in a document that is in an iFrame. 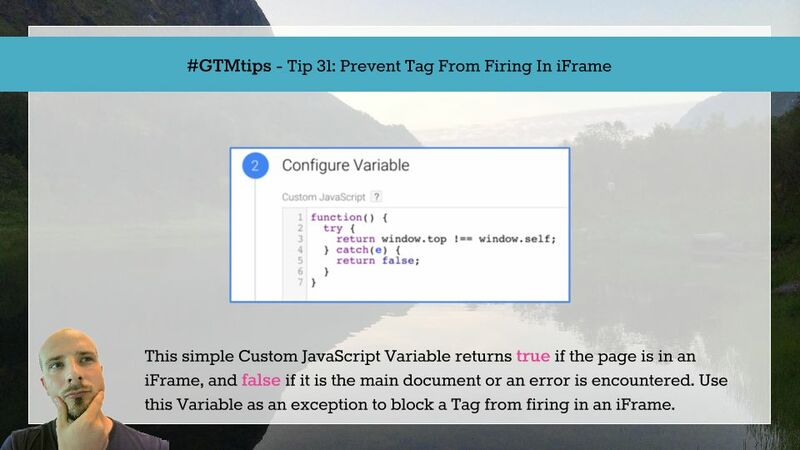 Add this Trigger as an Exception to a Tag which fires upon the Page View Event, and you will effectively block the iFrame from sending the Page View. This solution should work cross-domain, since simply checking for the window object does not violate same-origin policy. There have been scattered reports about unreliability in some earlier versions of Internet Explorer (surprise, surprise), so it’s good to have a fallback if the script fails, which is why it sends the false upon an error.